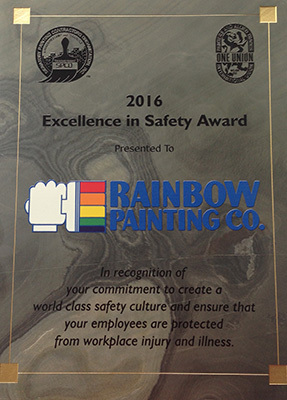 Portland, OR – The Signatory Painting Contractors Organization (SPCO) received the Governor’s Occupational Safety & Health Award for an Association. 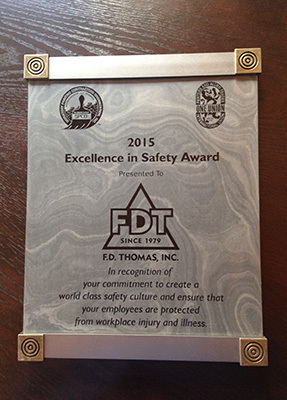 This award recognizes the organization’s activities that promote workplace safety and contribute to the prevention of workplace injury and illness. 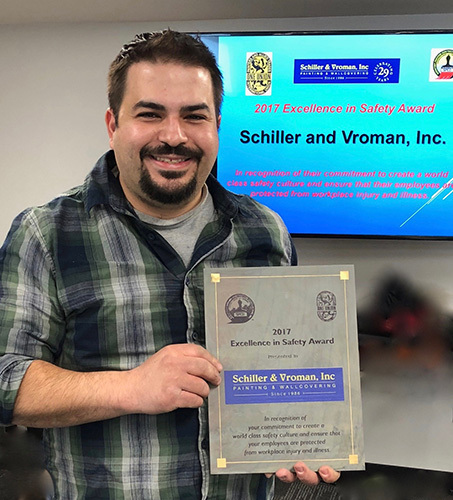 The SPCO maintains a joint Safety Committee comprised of both management and labor representatives as well as a representative from the Painter’s Training Center. The committee is chaired by Tamera Yocom of W.E. Given Contracting. The group meets monthly to review the safety record of reporting contractors and discuss issues of concern for workplace safety. There are numerous safety concerns that relate to the challenges of the painting industry including personal protective equipment, ladder and scaffolding safety, exposure to high risk substances, working in confined spaces, environmental protection, and job-site awareness training. After receiving the GOSH award in 2011, the SPCO has continued its ongoing safety programs and its OSHA approved Safety Committee. 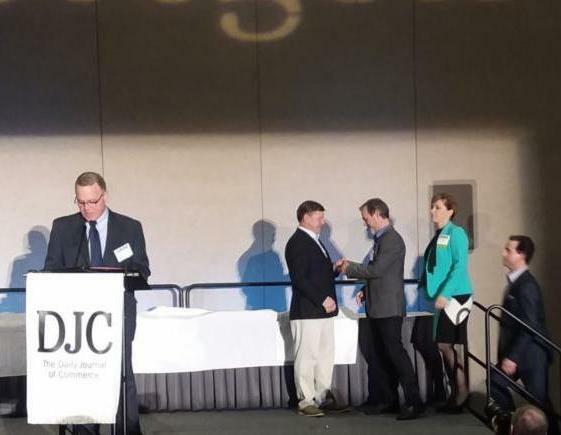 The Signatory Painting Contractors Organization (SPCO) was a Platinum sponsor of the 22nd Annual Awards Luncheon for Construction Industry Crime Prevention Program of the Pacific Northwest. The keynote speaker was Chief Danielle Outlaw, Portland Police Bureau. The awards were presented by CICP Executive Director, Karen Blythe. The CICP is an Oregon non-profit organization working toward the prevention and reduction of theft and vandalism on residential and commercial construction sites in the Pacific Northwest. The CICP Network consists of public and private sector participants including building trade associations, contractors, law enforcement agencies, criminal justice partners, local and state civic leaders, scrap metal recyclers and community members. Governed by a Board of Directors, CICP continues to be representative of the diverse activity of the construction industry.